For most of his life, Scott Chisholm has been empowering people by teaching them essential life skills, and protecting people by watching over them as a first responder. It started in his early teens, when he worked as a lifeguard and swimming instructor in his hometown of Marathon, Ontario. 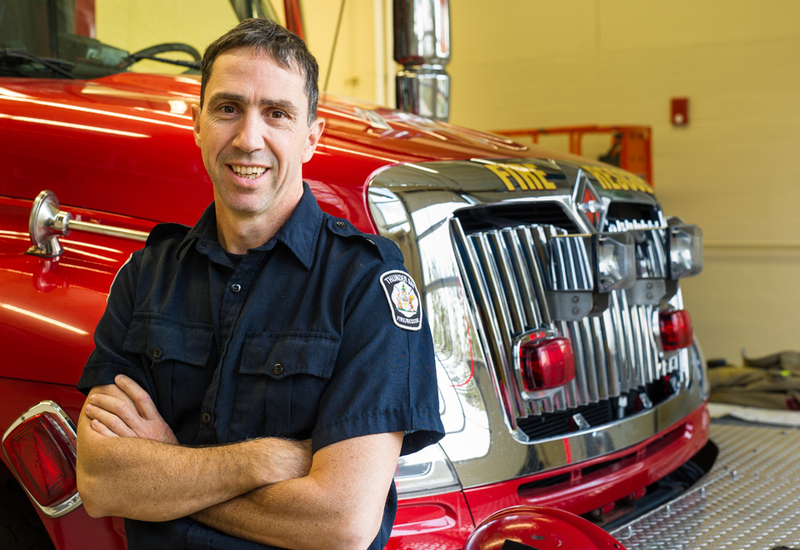 Later, he became a paramedic, and eventually moved into his current position as a firefighter with Thunder Bay Fire Rescue. Looking at Scott’s life from a distance, his previous efforts seem like stepping stones on a predestined path that led him to his ultimate role in saving lives: as founder of Collateral Damage. The charitable organization, which he launched in 2009, uses storytelling to create a proactive dialogue about suicide, with the goal of breaking the stigma that surrounds it. Receiving the Arnold Devlin Community Award from the Ontario Association for Suicide Prevention (2013). Through Collateral Damage, Scott has helped countless people across Canada (and beyond) who have been touched by suicide—people who are just like him. His desire to raise awareness and help prevent suicide comes from a deeply personal place; when he was only 17 his father, Robert, took his own life. It happened on a weekend in 1982 when Scott and his four siblings were out of town. He and his eldest brother were playing an away basketball tournament for Marathon High School, and their coach and an older cousin who was also on their team delivered the news. Growing up, he might not have had the words to articulate it. But looking back now, he recognizes that his father was a depressive alcoholic with “significant mental health issues.” Robert was hospitalized six times (“that I know of,” says Scott), although the real reason was usually kept from his children. For Scott, his father’s death marked the first time he’d lost a loved one. So for quite awhile he wasn’t aware that people’s reaction—to completely avoid the subject—wasn’t a typical response to death. It took several years before he realized just how specific that code of silence is to suicide. Scott started out studying criminology at Mount Royal University in Calgary, Alberta. He’d gone there planning to become a police officer, but quickly realized that wasn’t his calling. He did know, however, that he wanted a job where he could care for others. So, with his strong athletic background (which had expanded to include two Ironman triathlons, as well as hang gliding, rock climbing, windsurfing, sailing—just about anything that kept him moving), becoming a paramedic seemed like a natural extension of his talents and interests. He completed the Paramedic program at St. Clair College in Windsor, Ontario in 1988, and then accepted what he thought would be a temporary job as a full-time paramedic in Thunder Bay, Ontario. But as fate would have it, he wound up meeting the woman who would become the mother of his children, sons Curtis and Kyle (now 17 and 15), and he made the northern city his home. While answering their cries for help, Scott discovered he had a special talent for pulling people out of the fire before it consumed them—whether the fires were literal or metaphorical. 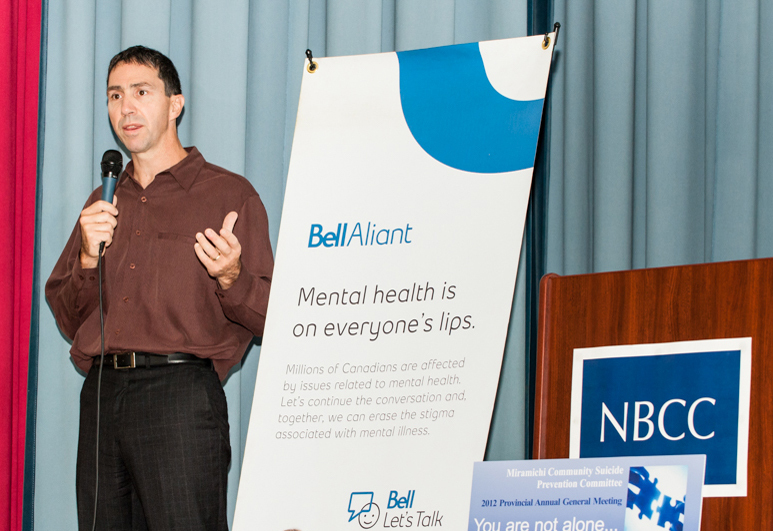 “When I responded to suicide calls, I learned that I had a unique ability to deal with them, and to work with families and see their situation in a different light,” he says. In addition to exploring his own capabilities, he was also learning about the particular power of the fire department. He and his fellow firefighters were involved in plenty of local fundraising and awareness campaigns, including for youth initiatives and cancer research. Scott immediately noticed the impact they had on the community. Scott’s desire to draw from his strengths in order to empower others seems to be innate. Another frequent response he got from sharing this story was this: “Scott, I would never picture you tied to suicide.” People in his community saw him as a paramedic or firefighter, as an athlete and doting father. To them, those roles didn’t jive with their mental image of what suicide looks like. When Scott asked what they thought the picture should look like, no one had an answer. So he started looking online for images about suicide. But all he found was “cold, dark text, usually on grieving and not about moving forward,” he says. His mother had given him a camera when he was 18 (not long after his father’s death), and he’d rarely put it down since. 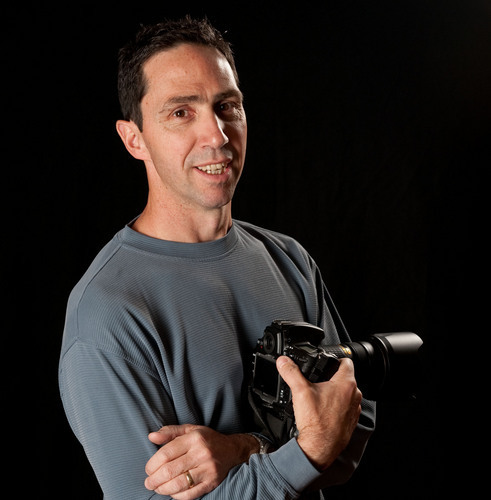 By the late 1990s, he had started a professional photography business on the side, and had become more aware than ever of the power of telling stories through images. So the idea hatched to create a photo book of people who had lost loved ones to suicide. He would call it The Collateral Damage Project. Scott formally launched the Collateral Damage organization in 2009, with a mandate “to use images and stories to create a proactive dialogue on suicide to get rid of the stigma.” He secured support from Alex Baumann, Canada’s two-time Olympic gold medallist in swimming, who lost his brother to suicide, and the two landed an interview with CBC Radio’s Ontario Today. After that, things really got rolling. Originally, the plan had been to collect stories from people living in Northern Ontario. Scott believed there were enough stories in and around Thunder Bay, and with no budget to speak of, it didn’t seem realistic to broaden the project’s scope. The CBC interview changed everything. The idea morphed yet again to include travelling exhibits when he was invited to display photos at the 2010 Canadian Association for Suicide Prevention (CASP) conference. It was held in Dartmouth, Nova Scotia that year, and the interim Collateral Damage exhibit was so popular that it was extended beyond its initial three-day slot, staying on to tour the province for five weeks. Scott continued to seek funding for his book. But as the months wore on and he ran into one dead end after another, he started expanding into speaking and advocacy, spreading the message to raise awareness for the project but also to get people talking about suicide. Next, Scott reflected on his father’s friends. Most had worked at the pulp and paper mill that was Marathon’s leading employer in those days. They were trained in CPR and First Aid; they knew what to do when they saw the warning signs of cardiac arrest. But they didn’t know how to respond to the signs of a suicidal person. “They knew enough about my dad’s mental state to know he was at great risk,” says Scott. “But they didn’t know how to talk to him about what was distressing him. Had my father had a cardiac condition instead of a mental health illness, he may have been in better hands with his friends because they had the basic training they needed to respond to that.” So Scott decided to begin advocating for basic suicide awareness and response skills in the workplace. From Susan’s one simple question, and by reflecting on one story—Robert Chisholm’s—Scott was able to create the advocacy parameters for Collateral Damage: To advocate for curriculum, policy and legislation changes on how suicide is talked about, and to do so by incorporating the power of storytelling. To date, Scott has collected stories from Canadians across Nova Scotia and Ontario, including several remote First Nations communities—areas he says he targeted because he “couldn’t ignore the stats, and didn’t want to ignore the stats, about the prevalence of suicide among First Nations youth.” He’s still inviting people to share their stories, and continues to seek funding to complete the book and touring exhibits. He hopes to officially launch the project in the spring of 2015, but how it comes together will depend on the money he’s able to raise. Scott is also making good on his promise to bring about curriculum and policy changes, in large part by facilitating other mandates. He’s helped arrange and deliver several rounds of SafeTALK, a three-hour course designed by Calgary-based company Living Words to help people in the workplace identify and respond to suicidal traits. Through Collateral Damage, he also advocates for Mental Health First Aid (MHFA) through the Mental Health Commission of Canada (MHCC). It’s a two-day workshop that covers mental health disorders more generally, with suicide prevention comprising a small part of the workshop. He recommends that people take the program as a follow-up to SafeTALK, which he views as a critical starting point for preventing and responding to suicide. Then there’s the tremendous gains Collateral Damage has made with the Northern Ontario School of Medicine (NOSM). Scott gave his first talk to the school in November 2011, and as a result, they’ve already incorporated mandatory suicide awareness training into their first-year MD curriculum. He says he’s gotten inquires from other universities in Canada and the UK, and is optimistic that many more will soon follow NOSM’s example. Scott is buoyed not only by the interest in his organization, but also by the outstanding support it has received. In addition to Alex Baumann and Susan Aglukark, the Collateral Damage’s advisory team includes a host of accomplished athletes and musicians, including impossible2Possible founder and Kickass Canadian Ray Zahab, former NHL player Russ Courtnall and Our Lady Peace drummer Jeremy Taggart. They’ve also got strong backing from legendary Canadian singer-songwriter Bruce Cockburn, as well as from I Mother Earth leader singer Brian Byrne and his wife, Tara. 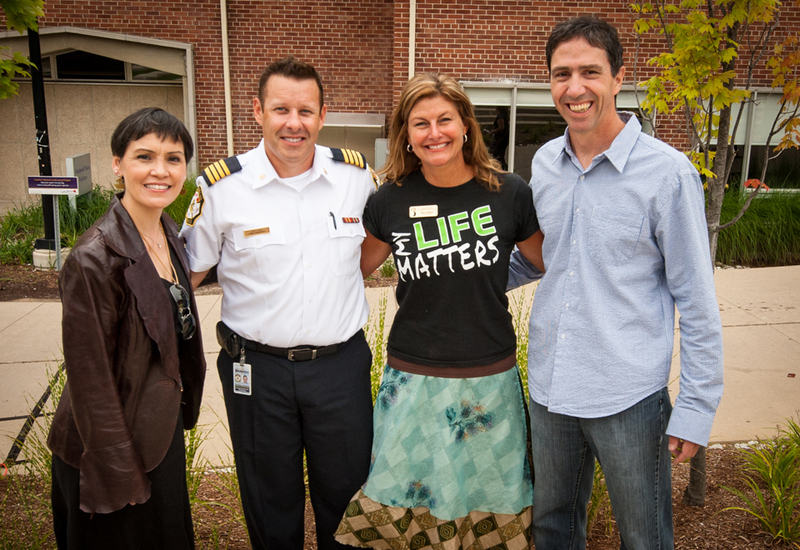 Of Scott’s many efforts, one of his proudest accomplishments is his involvement with the Life Promotion Project. The three-year pilot project, which is funded through Health Canada’s National Aboriginal Youth Suicide Prevention Strategy (NAYSPS), is currently in its second year. 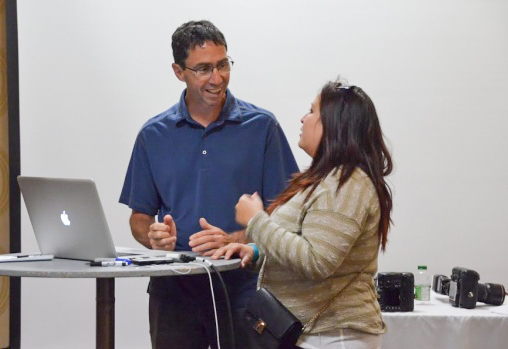 Over the past two summers, he has served as a primary facilitator for the initiative, overseeing SafeTALK training and leading PhotoVoice photography sessions for First Nations communities throughout Ontario—specifically, Thunder Bay, Sudbury and London. Those youth are now in the process of exploring their communities to photograph images that “promote life.” Ultimately, their photos will be featured in an exhibit and a book, which Scott is helping them put together. This past August, when beloved actor and comedian Robin Williams took his own life, several media outlets interviewed Scott, looking for his take on the tragedy. He recalls one interviewer who noted how devastated her mother was by Robin’s death. Scott asked whether the newscaster thought her mother would donate to the Heart & Stroke Foundation if Robin had died from a stroke. The woman said she absolutely would have. But Robin died by suicide, and the newscaster acknowledged that her mother wasn’t looking to donate to an organization like Collateral Damage. The reason behind that, says Scott, is also behind one of the biggest misconceptions about suicide: “Most people don’t believe you can prevent it.” He firmly believes that the way to change that attitude, to get people to understand that we can do something about suicide before it happens, is to tell stories—like Robert Chisholm’s, like Robin Williams’—and put the necessary tools in place before they’re needed. One of the key lessons imparted through SafeTALK is that talking about suicide won’t cause it. He wants people to know that it’s okay to raise the subject, because only then can we start talking about the stressors and mental illnesses that result in suicide. “Ultimately, my work with Collateral Damage has nothing to do with suicide at all,” he says. “It has everything to do with the issues that lead up to it. That’s what we need to talk about. For the latest on Scott and Collateral Damage, ‘Like’ the organization’s Facebook page, follow @SuicideTalk on Twitter, or email scott@leftbehindbysuicide.org. To support Collateral Damage and help get the book and exhibits completed, please donate. Thank you to Ashleigh Presenger for recommending Scott as a Kickass Canadian. It’s been almost a year since my sister passed away. A day doesn’t go by that I don’t think of Chris. Last year I planted a pink rose bush for my sister and my dad. Pink is one of our family colours. Dialogue is the only way to create public awareness. My new mission in life is to be an advocate for mental illness to help others, and I am writing a book. It’s awesome that you, Scott, truly get it. I wish more people did. Anne, I’m sorry for your losses. Thank you for sharing. Anne, I am so sorry for your loss of your sister to suicide. Thank you for your kind words and I can assure you that more people are truly getting it… the importance of dialogue. I wish you healing and peace. Scott, you are honouring your family and your father with your tireless work with suicide awareness / Collateral Damage. Thunder Bay / NWO is a lonely and isolated place in so many ways, but the beacon of hope your work has created will save many a lost soul. You do us proud.